an arm of the University Registry. It is primarily saddled with the responsibility of processing admission for qualified candidates into the various academic programmes offered by the University, using the prescribed rules and regulations. Admission into the University of Ibadan is of two entry types i.e. Direct Entry and Indirect OR UTME Entry (Unified Tertiary Matriculation Examination). The Direct mode of entry is for applicants who desire to enter into the 200 or 300 levels of study, depending on the qualifications they possess. Entry qualifications for this mode of admission include possession of ‘A’ level certificates, National Certificate of Education Certificates (NCE), National Diploma and Higher National Diploma Certificates. These candidates are expected to obtain Direct Entry form, which they do by registering on-line on the website of the Joint Admissions and Matriculation Board (JAMB). The Unified Tertiary Matriculation Examination (UTME) on the other hand, is a qualifying entrance examination for entry into the 100 level of study into the University. The examination is conducted by the Joint Admissions and Matriculation Board (JAMB), for this category of applicants, who are expected to score a minimum of 200 out of the 400 marks for the examination. To qualify for admission to the University of Ibadan, apart from fulfilling the requirements of JAMB, candidates are expected to satisfy the minimum secondary school certificate ‘O’ level requirements.Acceptable ‘O’ level results are the ones conducted by: - National Examinations Council (NECO), West African Examination Council (WAEC), GCE London moderated ‘O’ level and University of Cambridge moderated ‘O’ level. The minimum ‘O’ level requirements are five (5) credits at one sitting in the relevant subjects and six(6) credits at two sittings. Possession of a credit pass in English Language is a compulsory requirement for all courses, while credit pass is required in Mathematics for all science based courses and Economics. The Admissions Office coordinates the entire activities of the Admission Process yearly, which starts off with publicity on the University website, Official Bulletin and some well read National Dailies on the commencement of the Admission Process, to collating the entries received from applicants who upload their credentials on-line. The submissions are cropped and processed in line with the laid down guidelines, after which the names of the successful candidates at the Admission Post-UTME Tests are processed to the Joint Admissions and Matriculation Board, Abuja, for approval. Verification of the results of the newly admitted students with all the examining bodies. Processing freshers for the matriculation ceremony. Liaising with all academic departments and the University Academic Planning Office on all issues of Admission Quotas and regulations. Responsible for the provision of information on admission to the University Senate and Management. Provision of admission statistics for units/offices in the University for Official Uses in each admission year. Conducting the graduation clearance exercise for students graduating from the University yearly. The Office liaises with the JAMB Office, Abuja, on behalf of the University on all matters relating to admission regulations and policies. Processing the Admission of the University’s Affiliated Institutions and the Distance Learning Centre. 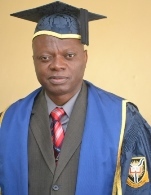 In recent times, automation of the processing of candidates for admission to the University of Ibadan was introduced. With automation, there is a drastic reduction in manual input, especially in the scoring the results of candidates to determine eligibility for the Post-UTME Tests, as well as on-line submission of credentials, by candidates who had to travel down to Ibadan to submit same results by hand, some years back. For further enquiries, send an e-mail to: [email protected].